This is a Jada 1/24-25? scale, who knows with them. It hails from their For Sale series and is a fairly decent cast, a little too tall if you ask me. Here is a better pic with the flash on. Way cool mud flaps too! 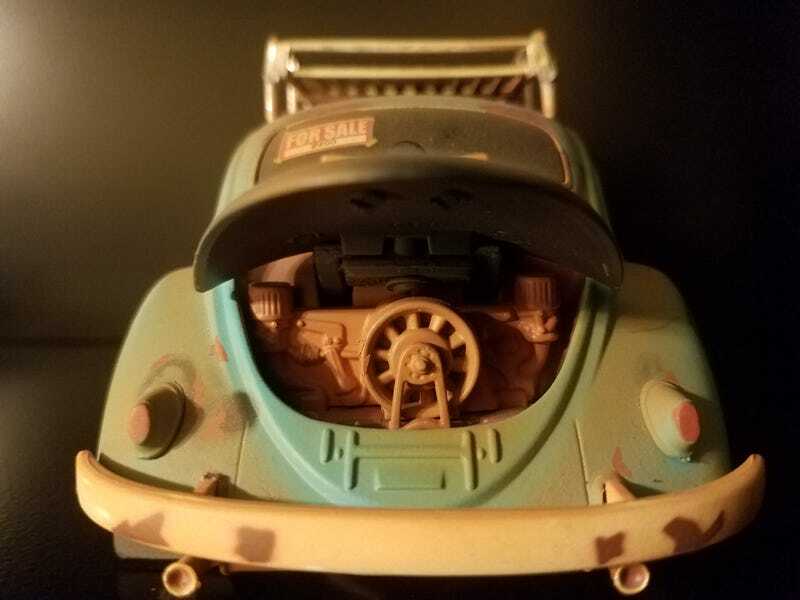 Engine is not super detailed but and least they made it look dirty?, rusty?, someone went crazy with a rattle-can? Plus, luggage rack! Anyway, enjoy the rest of the pics! This is my first post in months due to both personal and diecast related setbacks, but I have been checking in every day and commenting here and there to JL related posts. I want to thank my friend Jason AKA The Bell King for being there for me, helping me get through the tough times, you rock dude!